Each week, Theo rewards small businesses that tweet him and describe their businesses in one tweet. 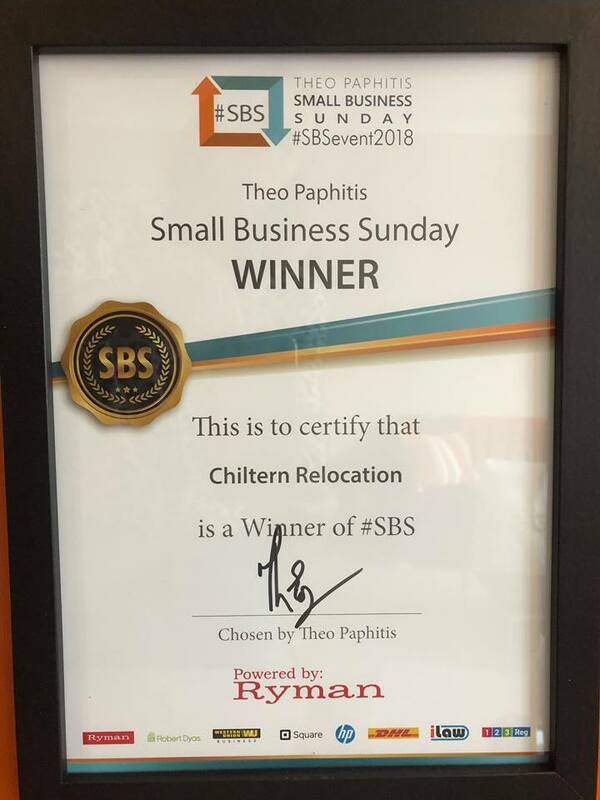 Chiltern Relocation were thrilled to win a #SBS business award in January 2018 following a rigorous selection processes. Since 2010 when Theo set up the awards, 329,000 businesses have entered and only 0.68% have been selected. 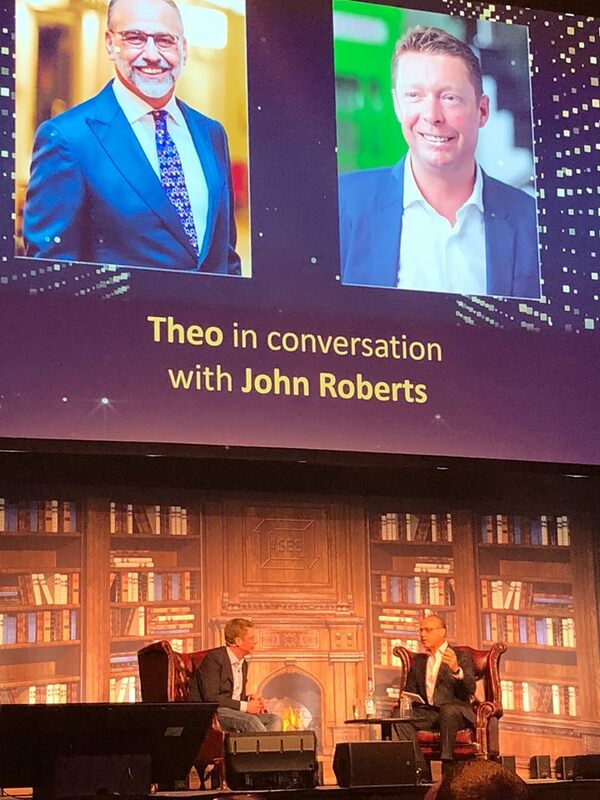 The winner’s conference was held in Birmingham and the enthusiasm for the event was palpable and Theo was keen to share his vision for small businesses when he took to the stage. He explained that small to medium businesses contribute 50% towards GDP but that 50% of new businesses collapse within the first two years. Theo questioned how much more could be contributed back in to the economy, if those business were to succeed. This is his passion; to help small businesses thrive which will in turn generate income for the whole country. Be resilient – always be nice. Never give up. How do small business owners manage the long hours and hard slog? Berocca! Keep fit and healthy, celebrate your successes to boost adrenalin, just keep going! HP Western Union, Square, Ryman, Robert Dyas, DHL, ilaw and 123.reg. As winners we had to choose two of the sponsors for a free consultation. We elected to meet 123.reg and discussed our SEO strategy and HP to talk about our geolocation marketing plan – both were extremely helpful. 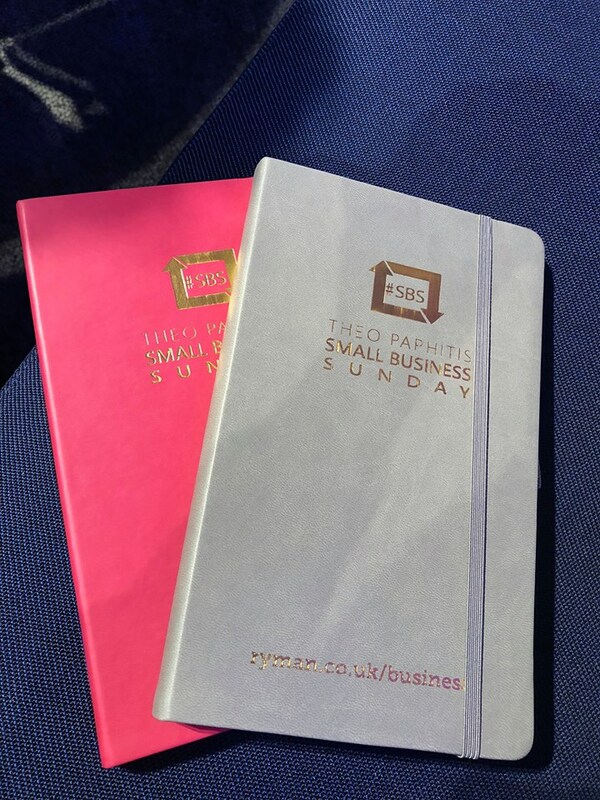 Looking forward, the head of Ryman Stationery, Kyrpos Kyprianou, commented that 54% of businesses polled said they felt optimistic about business in 2018 despite Brexit looming which was good to hear. 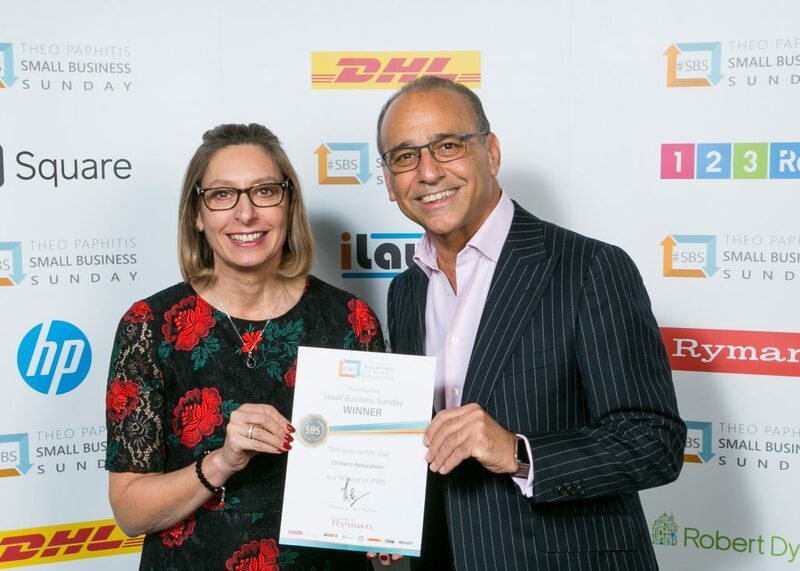 In summary the event from start to finish was enlightening, friendly, helpful, encouraging and thoroughly enjoyable and Chiltern Relocation would recommend anyone thinking of applying for a #SBS Award do it now and maybe we will see you there next year!